Music & Movement Workshop for Grades 1-3. This fun, high energy class will guide children to learn, create and explore music and rhythms by using stories, poems, and singing games while engaging our imaginations and natural sense of play. Spring Session is on 20% OFF Early Bird Discount (when you register by Mar. 18). 10% OFF for Brothers & Sisters. Spring Workshops are here again! Turn your backyard into a magical fairyland! Build a sculpey animal, fairy door sculpture, clay mushroom house, and mask! Artists draw, sculpt and hand-paint all projects. Beginning through advanced students are welcome. This educational clay workshop will bring fun, focus and magic into your young artist's spring break! Our popular drop-off Create and Bounce Spring Break Camps is back. Kids will enjoy a day of bouncing, games, snacks and daily arts/crafts. For kids ages 4-12, includes lunch. Reservations require a non-refundable payment as these camps fill up quickly. Call today to sign up your aspiring artist! (714) 892-4842. We also do Birthday Parties, Field Trips, Parent’s Night Out and Fundraisers! A musical theater camp for kids ages 7–12. This is a weekly camp (M-F, 9 am–3 pm) with a convenient Drop off time at 8:30 for parents that need to get to work. A complimentary continental breakfast will be served at that time for Kids on the run including muffins, bagels and orange juice! Each week campers will celebrate a unique Musical experience with an end of week presentation of our work for family and friends. Campers will also enjoy camp songs, team building exercises, arts & crafts, the movies & a taste of fitness; obstacle course, relays, and more for prizes! Spring Horse Camps! These 1-day camps are small group of 4-6 campers, 9-12:00, $90/day, ages 5-14. They are offered multiple days during the school vacations. Camps provide a fun, hands-on experience with horses and riding in a small group environment, highly supervised by qualified instructors on well-trained, gentle horses in a professional environment. Learn all about horses and horseback riding with lesson in horse car and safety, grooming, tacking up and riding plus more fun activities. Lil’ Chefs will learn how to read a recipe, prepare everything from scratch, knife skills and kitchen safety. See our “Kids Favorites” menu below. Join us all week or for a day! Your child will have a fun, safe and educational Spring Break at Mission: Renaissance. For ages 5 to 12. Providing the perfect balance between learning how to draw and paint, exploring various craft projects and learning about The Great Masters. Well supervised classes with highly trained, caring instructors. Flexible scheduling allows you to choose from either Full-Day (9:00 - 2:30) or Half-Day (9:00 - 11:30) camp periods to tailor camp to fit your child's other Spring Break activities. 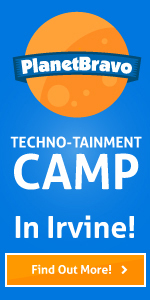 QD Learning's innovative 2018 Spring Break Start-up Business Camp in Anaheim differs from any other camps available for kids. During this week-long adventure, future entrepreneurs will collaborate to create one business together and work as a team to get their start-up company up and running. Be it Bloomingdale’s or The Best Bargain Bin store, these businesses succeed by offering a wide variety of goods to meet the neighborhood needs – and our students will be creating just that, with signs, sales, displays, and various other elements that draw customers in. Proceeds from their business will be donated to the charity of their choice. Reach camp programs are just that – fun, engaging, week-long climbing adventures guided by an excellent staff. 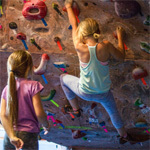 Sign-up today and give them the gift of climbing! Week, Single Day and Half Day options available. Please bring lunch and/or snacks. Ages 6-13. Storymakery’s	Young	Author	Spring	Camps	are	the	first	creative	writing	camps	that	not	only	teach	the	foundation	of	plot	development	but	also	allow	kids	to	publish	their	own	book	series. 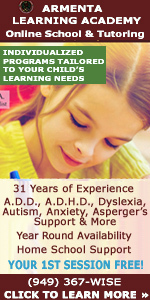 Our	program	extends	your	child's	creativity,	writing,	self-expression	&	cognitive	thinking	with	a	unique	approach. For	ages	5-6,	we	expand	writing	&	creative	thinking	skills. For	ages	7-10,	we	explore	writing	in	genres	such	as	Fantasy,	Sci-Fi,	Spooky,	&	Adventure. Full	&	half	day	programs	are	available. Is your child looking for some fun during Spring Break? If so, then the YMCA is for you! The YMCA of Orange County offers Spring Break Camp in various locations throughout Orange County. Your child will get to make new friends, sing songs, play games, and participate in activities and specialty clubs, all in a structured and nurturing environment.